Exceptional follow up on service! Experience showed. Discovered Trish and Tanis Website online. Was impressed with what I read and contacted them.Living in Ontario I have to find someone I trusted to work long distance with me.I found two fabulous, honest, trustworthy and caring agents. Recommend them highly. Tanis is a very professional, personable agent, who is very knowledgeable and involved in the Kelowna Real Estate Market. She is an excellent communicator & always available. Trish took some awesome photos of our Townhouse. This is the second Property we've sold with Trish and Tanis & would not hesitate to use them again. We have referred them to colleagues & friends. I feel very fortunate to have found these guys, they are knowledgeable, thoughtful and downright amazing at what they do and they have the tools to get the job done right the first time! Would I recommend Tanis Read and Trish Cenci from Coldwell Banker Horizon Realty to sell your coveted property? I cannot thank you both enough for your excellent professional advice, support and facilitation of my house sale. I am delighted with the terms of the sale in every possible way. It has been a pleasure working with you both and I hope that you know that I have and will continue to recommend you to both prospective Sellers and Buyers. Amazing & professional every step of the way. Very understanding & Trusting. Explained and answered every question or concern. Tanis, we would like to thank you again for everything you did for us. We will recommend you anytime. Your service is superb, very helpful and honest. It was so nice meeting you and we hope to use your service in the future. Thank you so much for your knowledgeable help & advice with respect to my real estate in Kelowna! 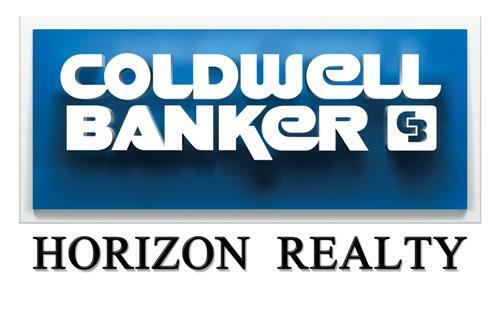 I would highly recommend Trish Cenci and Tanis Read with Coldwell Banker Horizon Realty.They were amazing in helping sell my elderly parents home. They were the most prepared of the 3 realtors I interviewed with photos, comparable listings and a realistic asking price. Trish and Tanis took the time to meet with my parents in their care home and explain the process of selling their home. The home sold within 10 days. Due to legal signing issues, they came up with a solution that accommodated both the seller and the buyer. I appreciated their exceptional communication skills keeping me up to date with all the detail. I would not hesitate to recommend their services. Three keywords to describe Tanis’s services: Reliable, Responsible and Flexible.Tanis is knowledgeable and very thorough with her explanation about buying and selling real estate. She spent time listening to the needs of her clients and provides good recommendations for homes to choose from. There is no waste of time viewing homes that aren’t meeting the clients’ needs.I lived in Alberta and was looking to purchase a home for my daughter in Kelowna. Despite my Asian accent, Tanis was able to understand me and my requirements. I managed to find the perfect condo over in just one weekend trip to Kelowna. Tanis helped me find a good mortgage broker and lawyer to finalize the purchase. All transactions and paperwork were completed via emails. Tanis also clearly explained about all fees involved including the Transfer Fee which is applicable in BC and not in Alberta. On home possession day, Tanis ensure I have everything I need since I am new to the neighbourhood. I definitely recommend Tanis to assist you in buying and/or selling your home. Tanis goes beyond just buying/selling your home. Boleh diharapkan, bertanggungjawab dan fleksibel adalah ciri-ciri yang paling sesuai digunakan untuk menggambarkan perkhidmatan Tanis. Tanis seorang yang berpengetahuan dan berupaya memberi penerangan yang menyeluruh mengenai pembelian dan penjualan hartanah. Selain itu, Tanis juga meluangkan masa untuk memahami keperluan pelanggannya supaya pengesyoran yang terbaik boleh dibuat. Pembaziran masa dalam melihat pelbagai jenis rumah yang tidak memenuhi keperluan pelanggan tidak akan berlaku. Saya adalah seorang yang tinggal di Alberta dan pernah mencari tempat tinggal untuk anak saya di Kelowna. Walaupun saya mempunyai aksen Asian, Tanis masih boleh memahami perkataan dan kehendak saya. Dengan ini, saya berjaya mencari sebuah kondo yang sempurna dalam masa satu hujung minggu semasa lawatan saya di Kelowna. Tanis juga membantu saya untuk mencari broker gadai janji dan peguam yang baik untuk memuktamadkan pembelian saya. Semua transaksi dan dokumen boleh dibuat melalui e-mel. Semua yuran terbabit termasuk “Transfer Fee”(dikenakan di BC) yang tidak dikenakan di Alberta telah Tanis terangkan dengan jelas sekali. Oleh sebab saya baru di kejiranan ini, Tanis memastikan saya memiliki semua dokumen yang diperlukan semasa saya mendapat hak milik kondo tersebut. Saya pasti akan mengesyorkan Tanis untuk membantu anda dalam pembelian dan penjualan rumah. Tanis bukan setakat menjual dan membeli rumah anda. 저는 몬트리올에 영주권자로서 1년 살다가 켈로나 에 콘도를 구매했습니다. 구매과정에서 아주 좋은 부동산중개업자를 만나 추천하려합니다. 켈로나에 있는 트리쉬 센시 ( Trish Cenci )라는 여성분으로 처음부터 끝까지 최선을 다해 신속하고 정확하게 지원해 주어 아주 편안하게 좋은 콘도를 구입할 수 있었습니다. 특히 한국에 대해서 호의를 갖고 있는 태권도 유단자 실력의 지한파이기도 합니다. 있음애도 불구하고 좋은 자료를 지속적으로 제공해 주었고 질문에 신속하게 답변 및 조언도 해 주어 스트래스없이 적합한 집을 구할 수 있었습니다. 구매자의 입장에서 적극성을 갖고 적시적절하게 조언도 해주며 완벽하면서도 신속정확한 업무처리 능력도 탁월합니다. 차후 중개업자를 선택하실 때 적극적으로 추천드리고 싶은 분입니다. 절대로 후회하시지 않을것입니다. Nur sechs Wochen nach unserer Ankunft in Kelowna hatten wir unser Traumhaus gefunden, mit großem eingezäunten Garten für die Hunde, mit herrlichem Blick auf den Okanagan Lake und in einer wunderschönen Nachbarschaft. Auch bei der für uns fremden Kaufabwicklung wie Finanzierung und Anwalt würden wir von Tanis professionell unterstützt. Wir können Tanis Read nur allen empfehlen, die ihren Traum in Kelowna Canada verwirklichen wollen. It couldn't have been any better! Just six weeks after arriving in Kelowna we found our dream house, with a large fenced yard for the dogs, beautiful view of the Okanagan Lake and in a gorgeous neighbourhood. We also were professionally supported by Tanis for the unknown purchase process such as financing and lawyer. We really recommend Tanis Read to everyone, who wants to make their dreams come true in Kelowna Canada. Despite the depressed condo sales market in Kelowna over the past several years Tanis and Tanis persevered consistently on our behalf. They have proven themselves to be exceptional Realtors & friends. Just a note to let you know how pleased we were with Tanis Read in facilitating a nearly impossible real estate transaction on the sale of our home and the purchase of our new home at Quail Ridge.We have dealt with a number of Realtors over the years, so we can say with some authority that Tanis is fantastic. I spoke to Tanis regarding a property she was listing and was impressed with her courtesy & friendliness, so just luck that we found such a wonderful agent! Amazing Service, very helpful & understanding. No pressure at all & extremely patient with all my questions, as I am a 1st time home owner. Exceptional service, above and beyond, from Tanis. She went out of her way to help us out.We very much appreciate her. Completing long distance real estate transactions requires that you have a high degree of trust in your realtor. I am tremendously impressed with the standard of service, attention to detail, thoroughness of communication and seamless team approach delivered by partners Trish Cenci and Tanis Read in a recent transaction where buyers, sellers and property were spread out over 4 cities. The calibre of service they provide is not often seen any more in the real estate world. I strongly encourage anyone with real estate needs to consider working with this exceptional team.